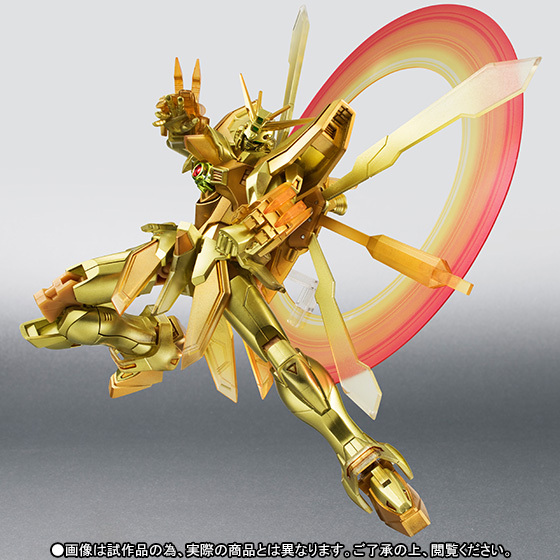 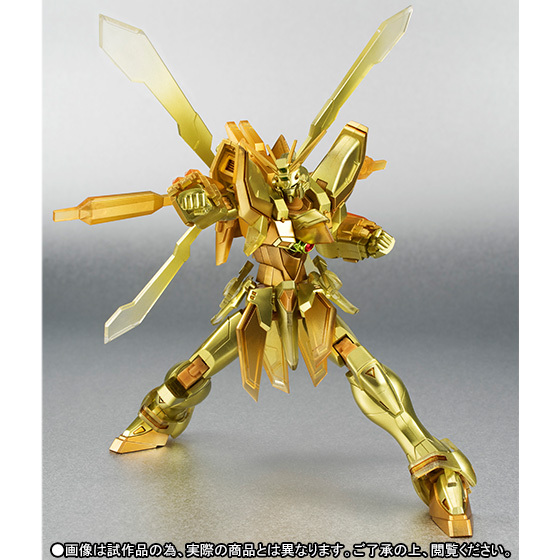 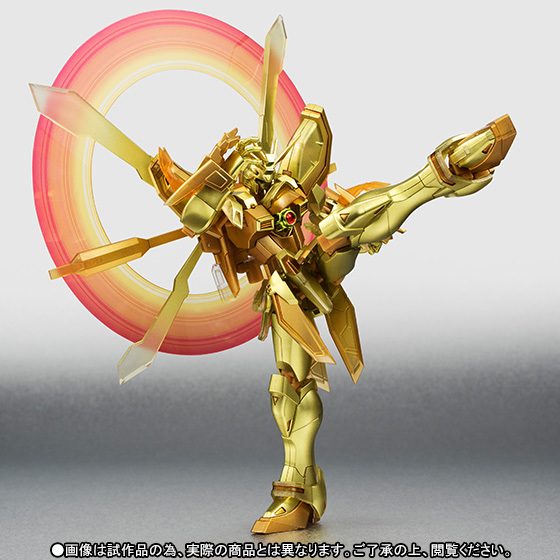 With a clear and serene mind, Domon Kashu makes the God Gundam enter its golden Hyper Mode. 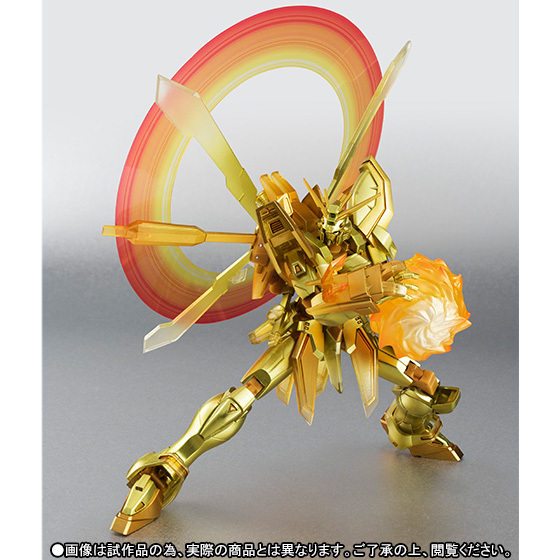 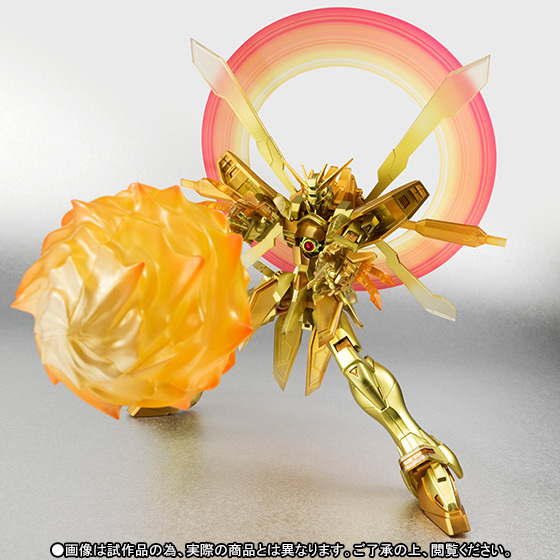 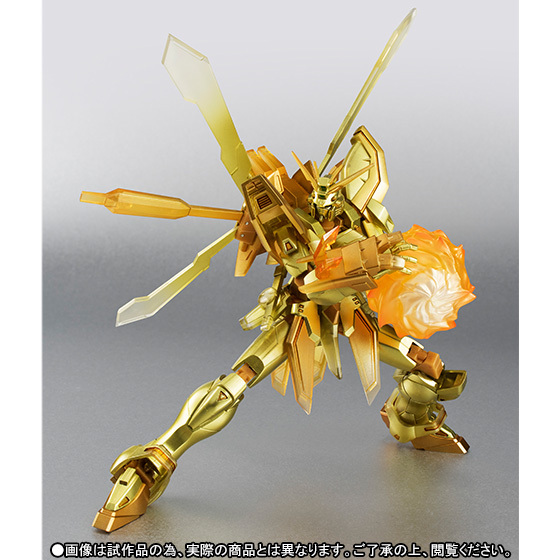 The shining and slightly transparent Mobile Fighter comes equipped with an assortment of hands, a halo effect part, God Slash parts, and a massive Sekihatenkyōken fireball. 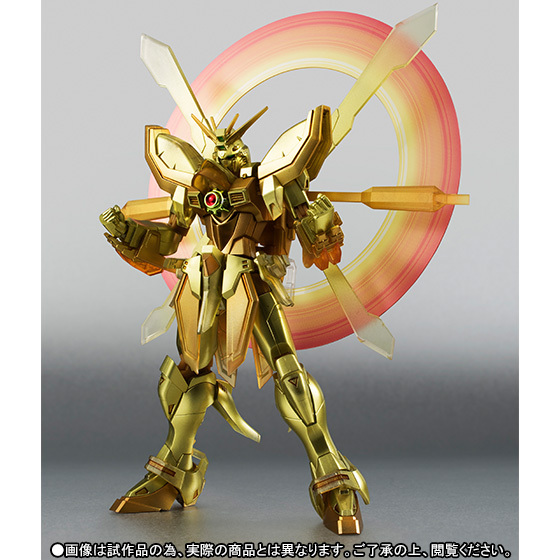 This release is a Tamashii Web Exclusive. 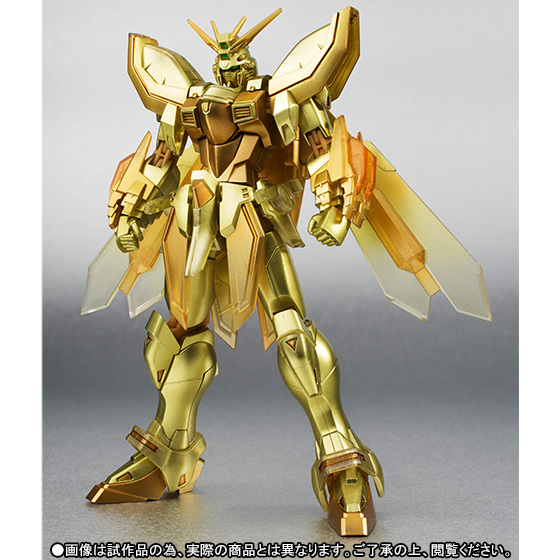 Coming December 2015 for 6,480 yen.